Truckee’s Caleb Bonneville races to a second place finish at Northstar California Resort on Monday, Feb. 5. 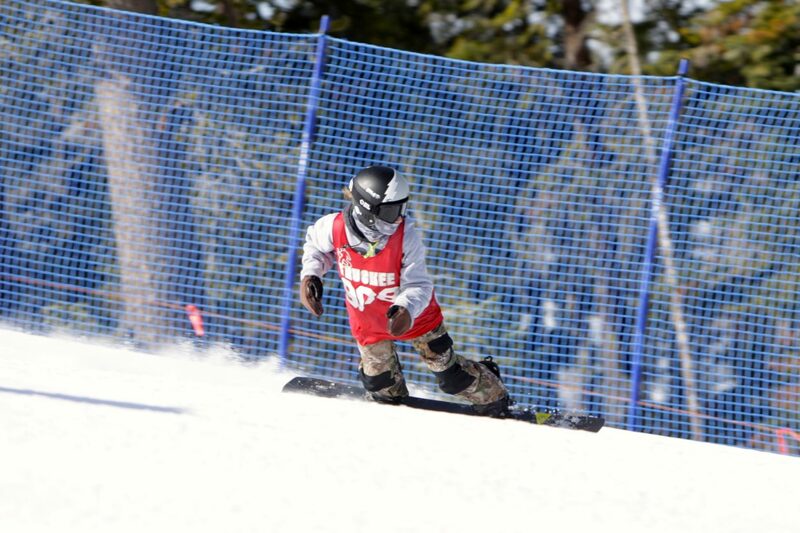 Bonneville finished the CNISSF state championships with second-place finishes in giant slalom and dual slalom. 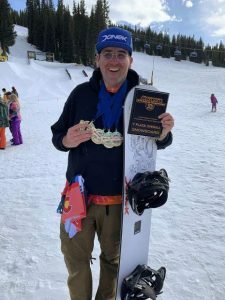 Truckee’s Caleb Bonneville finished his snowboard season with a second silver medal at the California Nevada Interscholastic Ski and Snowboard Federation (CNISSF) snowboard state championships. 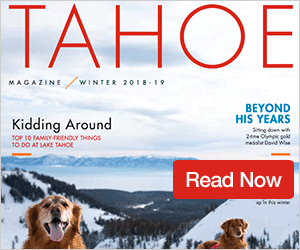 Bonneville took to the course for the second day of racing at Mammoth Mountain Ski Area on Thursday, March 8, and finished with a combined time of 55.31 seconds in boys’ dual slalom for a second-place finish. Bonneville had the day’s fastest run on one of the courses, but was fourth fastest on the other. Chico’s Flynn Davis won the state title with a combined time of 54.10. North Tahoe’s Cali Vail was the next fastest local with a total time of 1:05.58. Bonneville was runner-up in yesterday’s giant slalom, and with his two, second-place finishes at the state championships, he closes out the two days of racing with the best overall performance by any skier. On the girls’ side, Truckee’s Morgan Just finished in fourth place in dual slalom with a total time of 1:05.99. North Tahoe’s Nina Burt was third with a time of 1:04.86. Mount Shasta’s Tate Harkness took the win with a total time of 57.91, finishing nearly three seconds faster than any other skier.